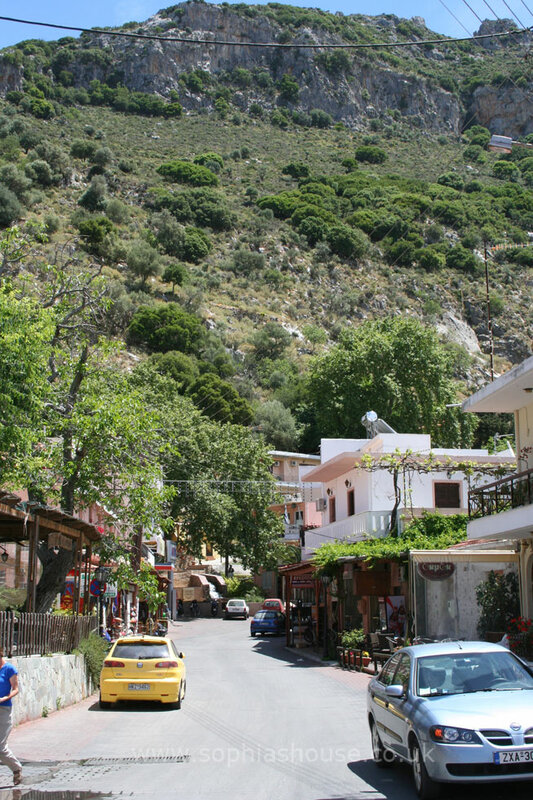 Situated 30km South of the town of Rethymnon, at the centre of the island of Crete there lies the beautiful mountain village of Spili. 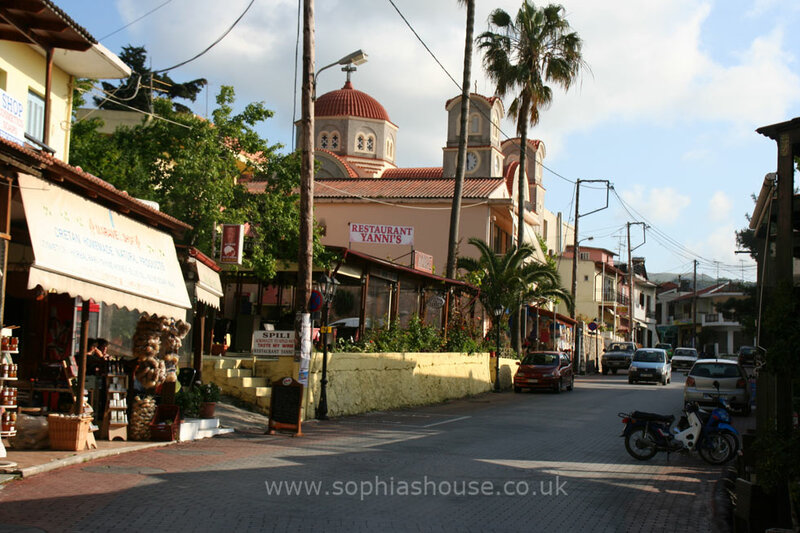 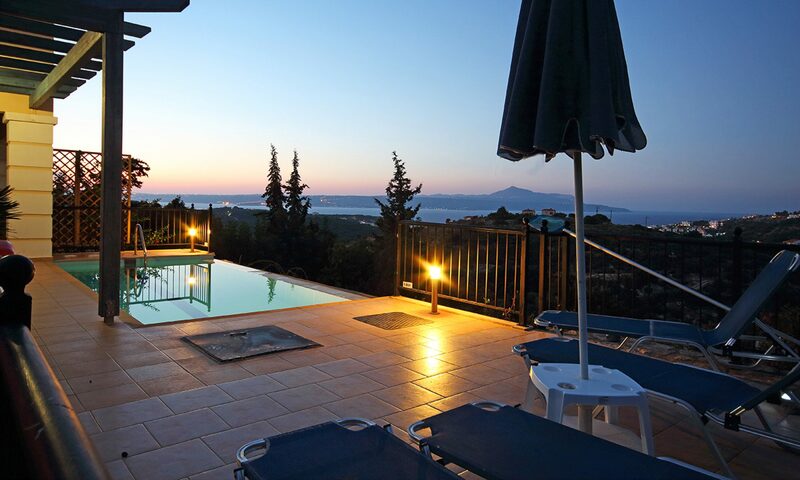 The town is situated on the main road running north-south across the island of Crete from Rethymno to the south coast and is therefore a convenient stopping point. 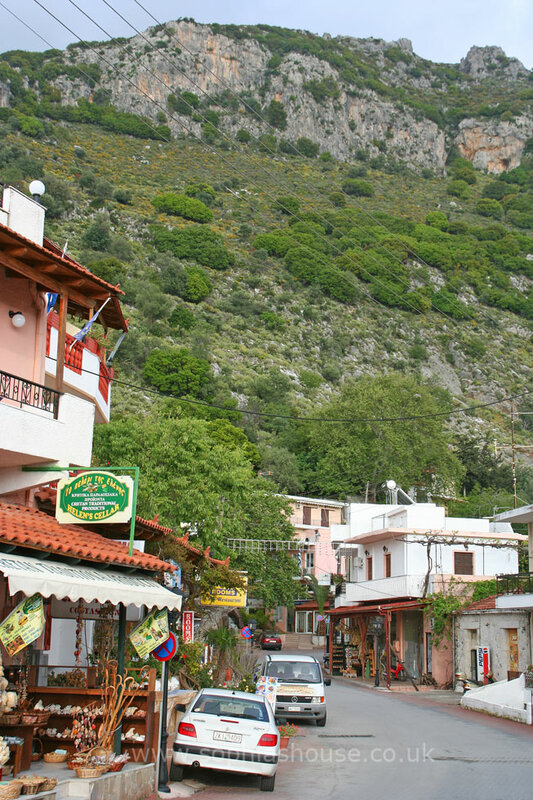 Spili gets it’s name from the Greek word for cave (Spileon) The village is dwarfed by the Impressive Mount Vorizi that towers above. In the centre is the freshwater fountain that was built during the Venetian occupation of the island. 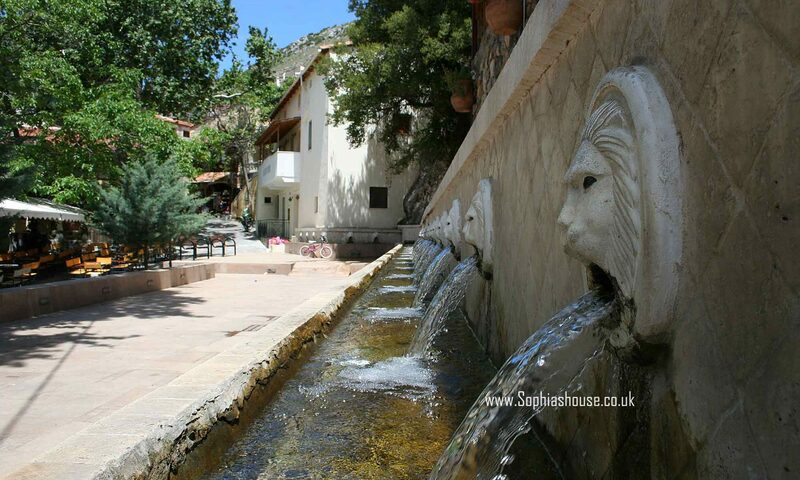 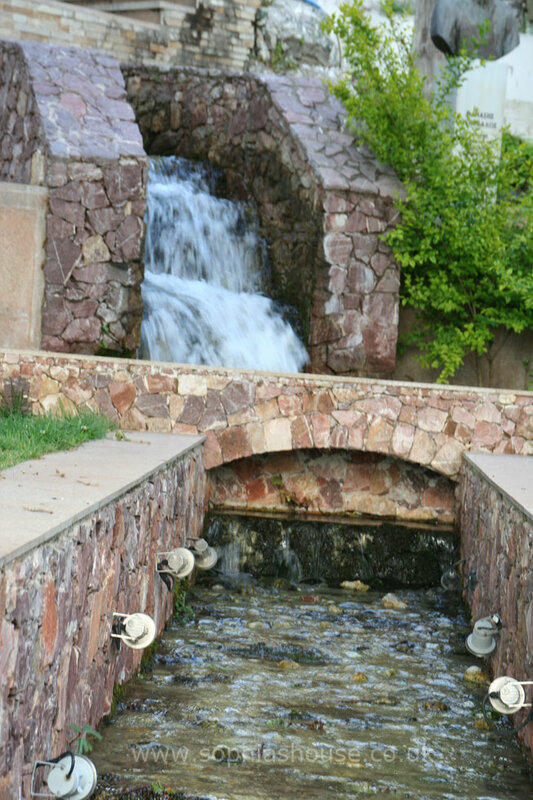 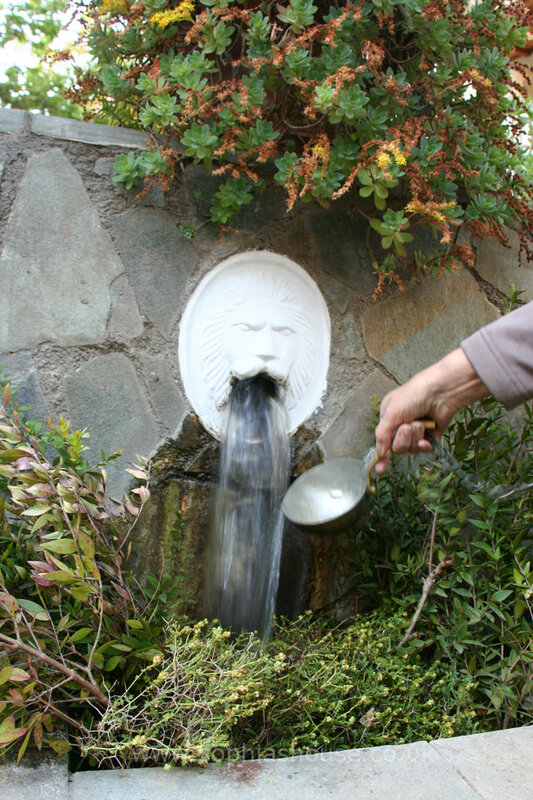 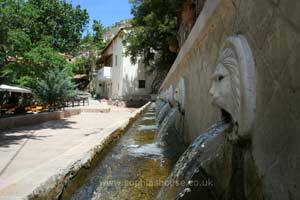 The fountain has 19 majestic lion heads carved from white stone, each of them emmitting a constant flow of fresh clear water directly from the mountain. 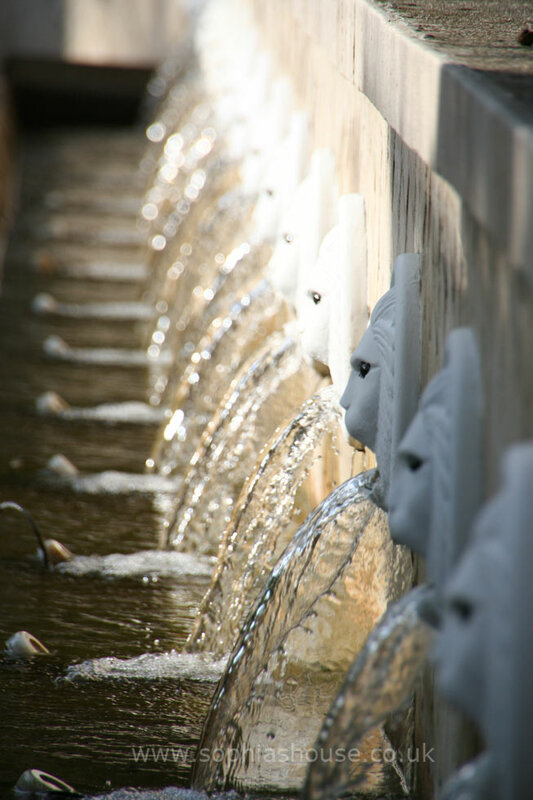 Have a taste for yourself, It’s so refreshing! 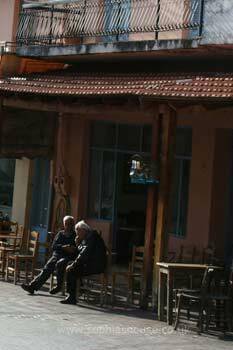 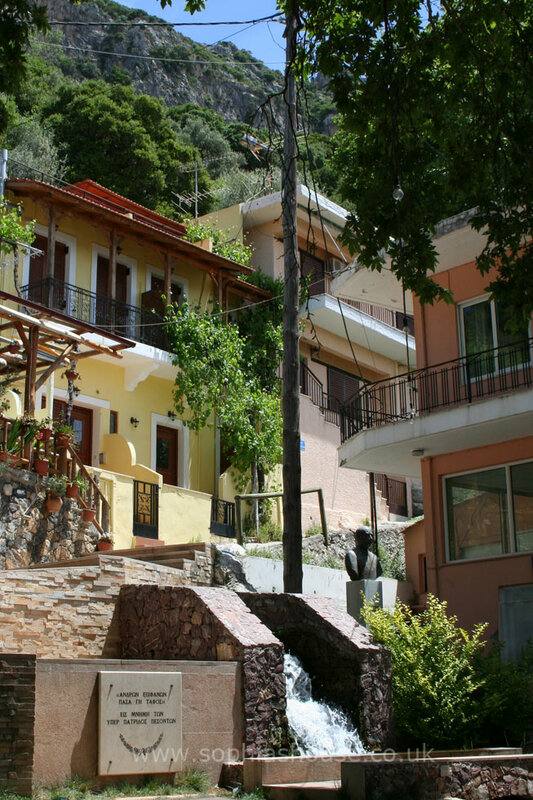 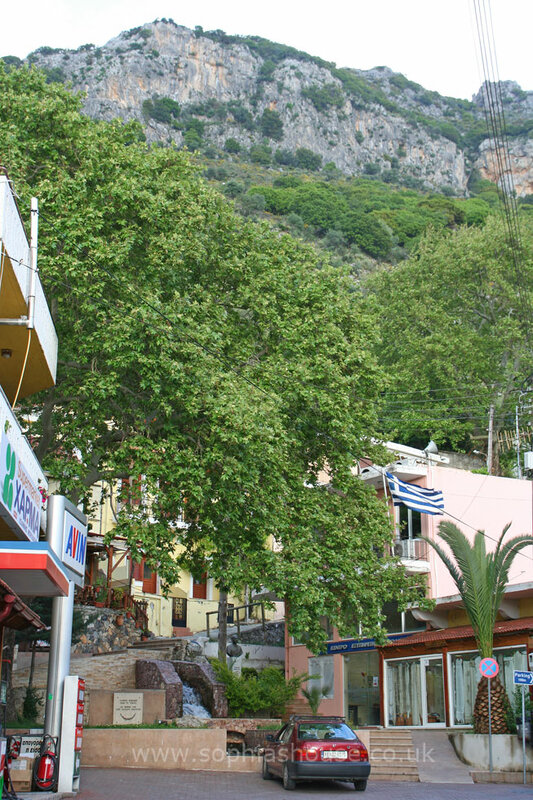 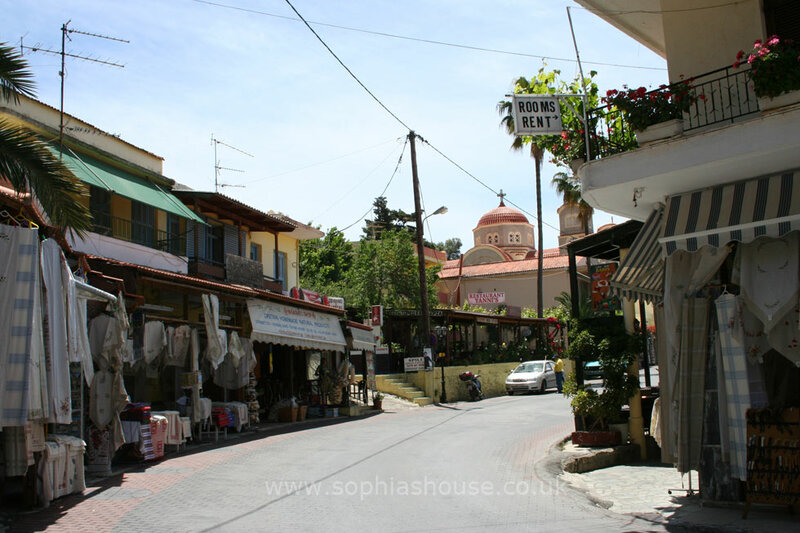 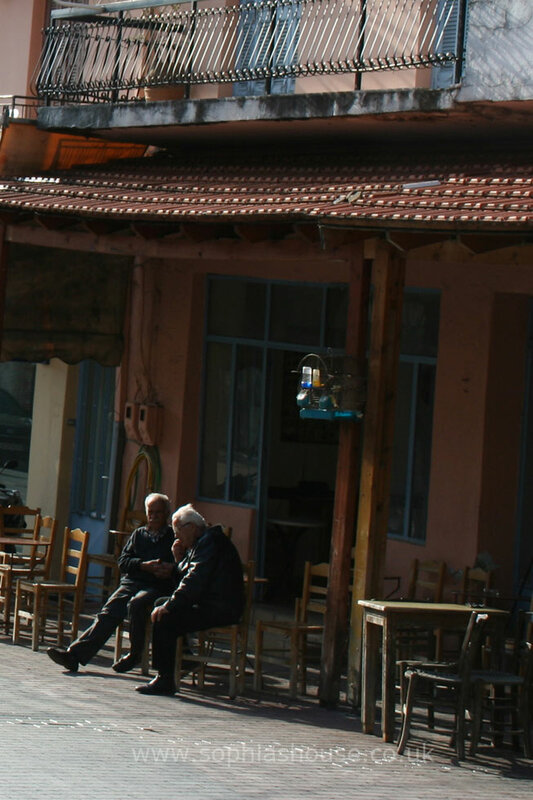 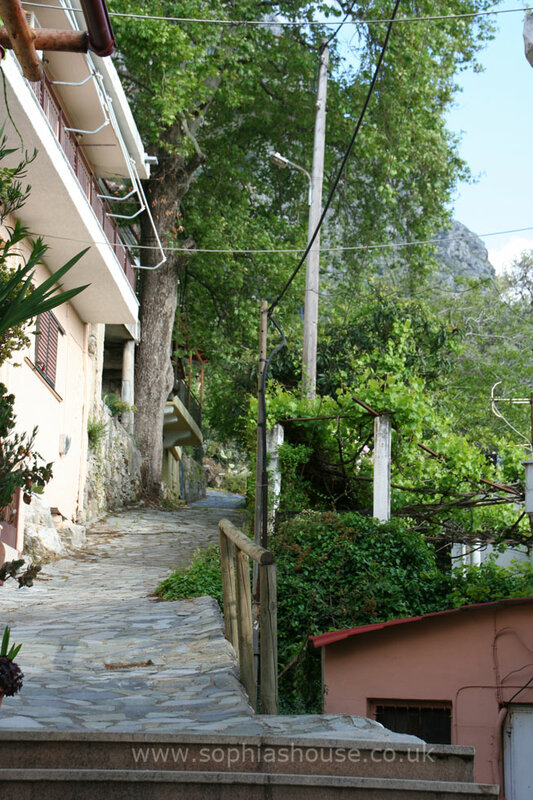 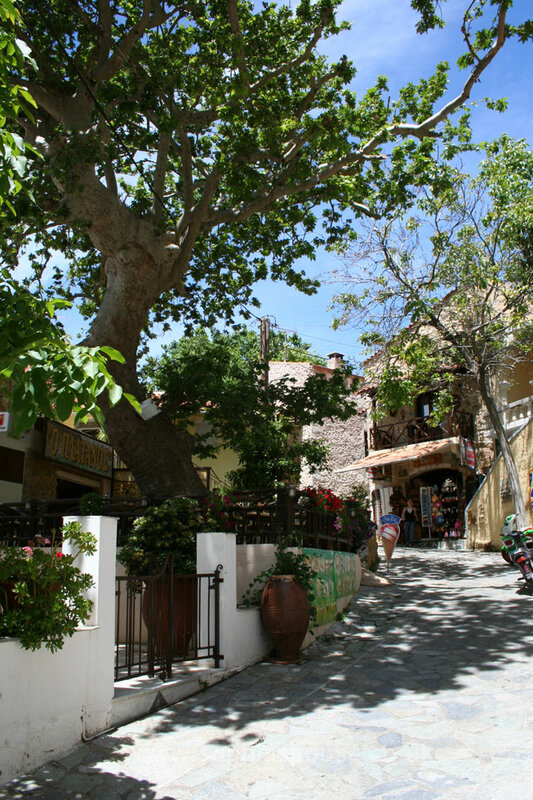 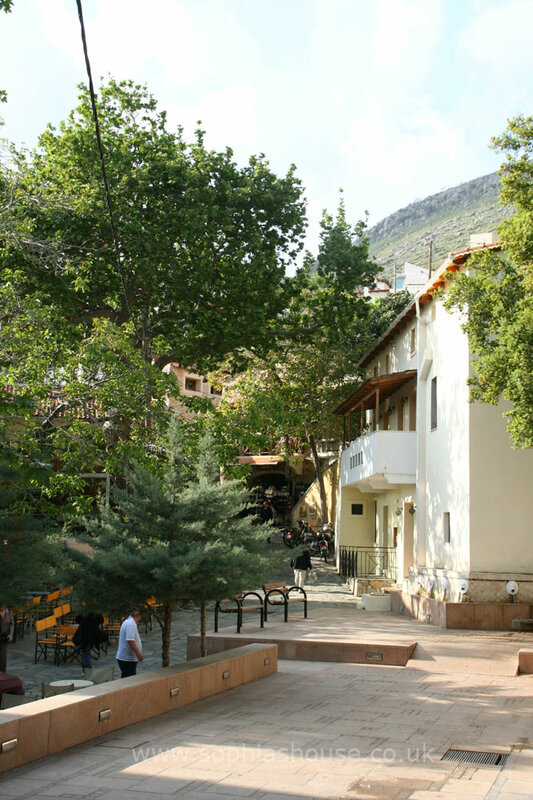 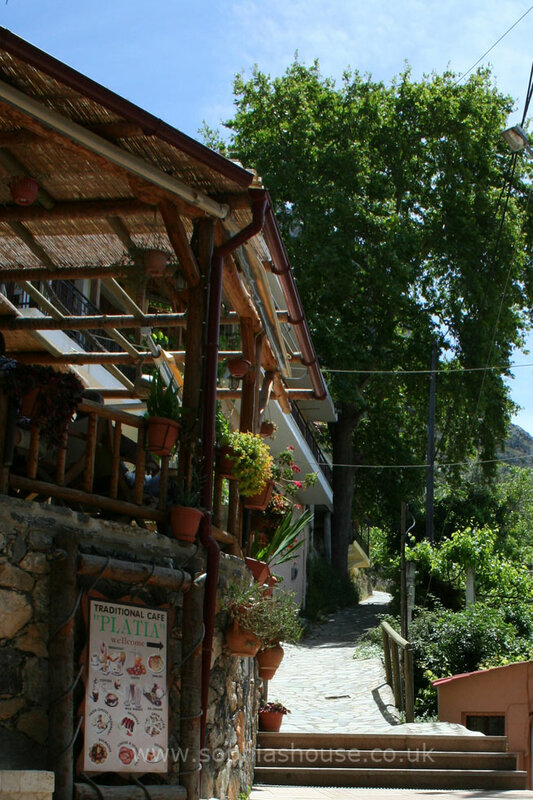 There are many tourist shops, cafe’s and taverna’s for you to discover as you wander around the little backstreets. 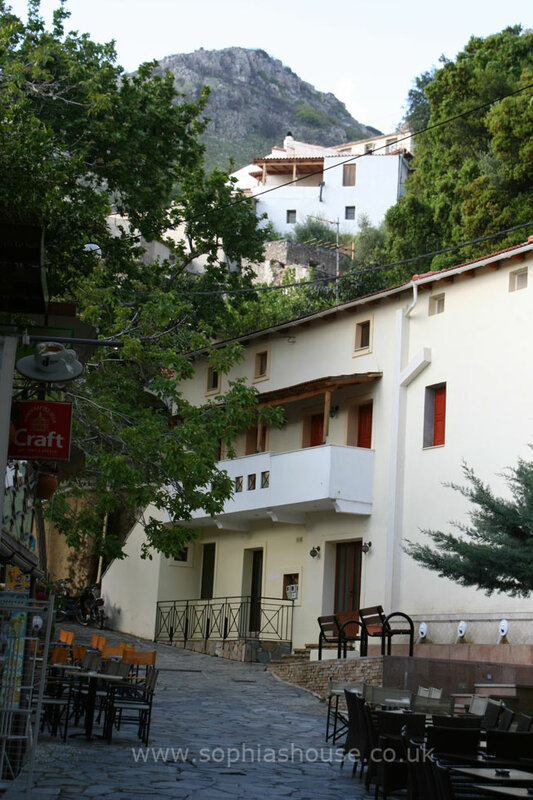 Before you leave, make sure you stop for a break at one of the taverna’s and try the local delicacy of smooth creamy greek yoghurt, drizzled with a copious amount of sweet, clear local honey and a sprinkling of chopped walnuts, “YUMMY”!